Hi! I'm Gordon! People say I'm handsome and adorable --- but all I know is, women swoon when they're around me! I'm about 45 lbs. and 10 months old, so I'm still a puppy at heart! 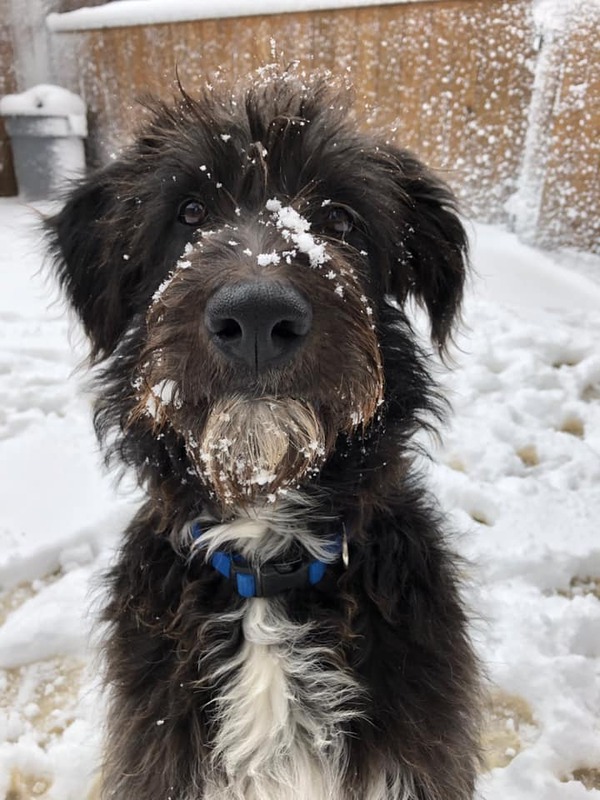 I'm a sweet Poodle mix and I just arrived in Colorado looking for my forever peeps. I'm a natural goofball and I promise to give you tons and tons of laughs! My dream job would be fashion model for a bandana company --- or maybe a dog toy tester! Check out my brother Winston (the white dude in the slideshow above). We're so happy playing together with our toys and romping in the Colorado snow. By the way, Winston has already found his forever person so he's no longer up for adoption. That's so cool because now everyone can spread the word to help me find my new family. I'll thrive in a home with another dog, so Summit Dog Rescue is saying they'll accept applications only from homes where there is another dog, please and thanks. That way I can play all day and have a doggie pal to share my new life with! Yay!